When you own a dog, you have ownership of one of the most amazing species of animals within the world. You will find companionship, loyalty, and comfort in a dog that is unmatched by other pets. 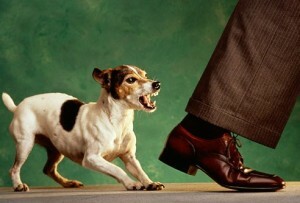 Knowing what human aggression is may not be easy for you – as a pet owner – to pick up on. For instance, you may think a growl is just that – a growl. The truth is, some growls are known as signs of human aggression, and Sandlot K9 can help your dog deal with this, and many other types of human aggression. At Sandlot K9, we know how to test the different types of human aggression in order to determine if this behavioral issue actually exists. For instance, a nip could be your dog being playful, but a bite could be human aggression. It would be dangerous for you to allow your dog to bite you or others in order to determine if the bite is a sign of human aggression. You not only put yourself in danger, but you could face a lawsuit and jail time if your dog seriously harms another individual. Do not let it get to that point; contact us today and learn more about our behavioral issue training programs. Puppies should be trained for human aggression early on. It is not uncommon for puppies to believe that jumping on, biting, and chewing at things or people is okay, when it clearly is not. This is a natural instinct that the puppies have, but with training, they can learn to stop – or control – this behavioral issue. You should never condone or reward your dog when they show human aggression. Puppies are impressionable, and they will take this as a sign that you accept the behavior. Sometimes human aggression in dogs could occur for medical reasons. We can help you determine if that is the case. If it turns out to be a medical issue, we will suggest you schedule an appointment for your pet with her veterinarian as soon as possible. Sandlot K9 can help you train your dog – and puppies – for human aggression, along with other behavioral issues. We have a scientific approach, which we use to help identify the problem, and provide you and your pet with a solution. Contact us today for a free consultation!